Vault 2015 has just been released. Here is a quick breakdown of what’s new and what’s changed in the API. Overall, these changes are reactions to changes in the Vault product itself. There’s nothing new here specific to API developers. Vault has changed how it handles changes to files that have not been checked out. It used to show an “edited out of turn” icon. 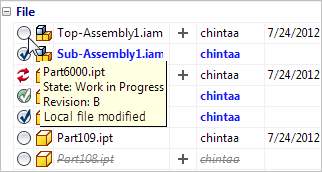 In 2015, the status now matches the status of the last downloaded state of the file (before the local edits). An extra piece of information is provided indicating the “dirty” status of the local file. This data is available through the UI and API. When acquiring a file in this “dirty” state, the download will not proceed unless a “force override” option is applied. This override can be done through both UI and non-UI workflows in the API. There have been changes to the BOM workflows. A lot of these changes are around being able to add items first and easily hook to files later on. Previous releases favored file-first workflows. 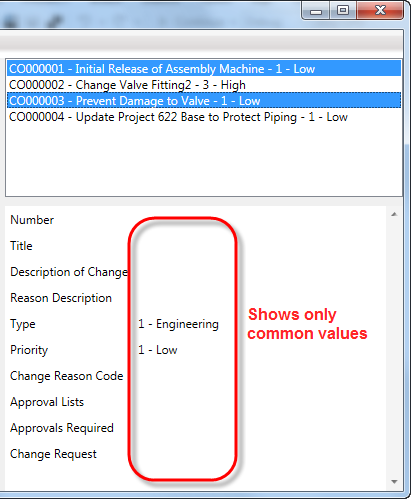 Another workflow change is the ability to promote only part of a BOM, instead of being an “all or nothing” operation. There are also some new concepts, such as “on” and “off” BOM rows. You will not be able to use any of your Vault 2012 clients with Vault 2015 server. 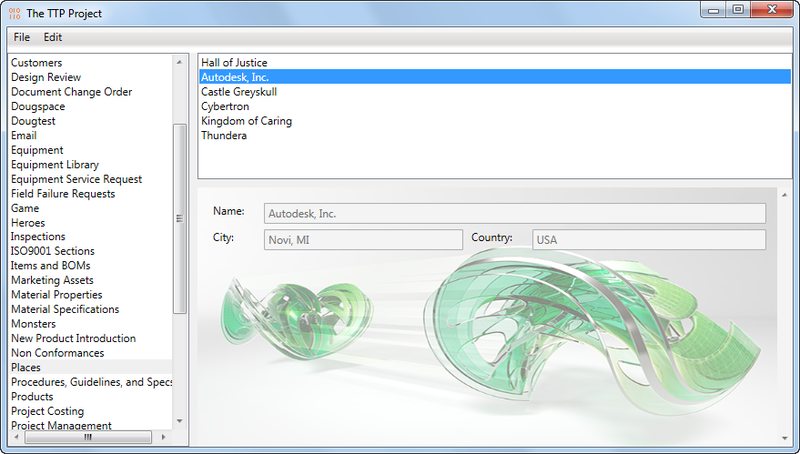 This includes CAD applications (like AutoCAD 2012 and Inventor 2012), Vault 2012 SharePoint integration, custom apps, etc. Vault 2013 and 2104 clients are compatible with Vault 2015 server. * Calls to the Item and Package service will result in a runtime error. This is due to breaking changes to the Item BOM workflows. If your app is using either of these services, you should update to the 2015 SDK. SDK DLLs are built against .NET 4.5. Visual Studio 2012 is the recommended development environment. Personally, I don’t like using Object, especially in an API. You don’t get type safety, it’s hard to know what classes are supported, and it’s easy for code to break in future releases. Unfortunately, Object is the type for property values. So I’ll be taking a look at Connection.PropertyManager.GetPropertyValue() and describing what you can expect for the return types. The API documentation for PropertyDataType lists what the .NET classes are for the various Vault property types. Unfortunately this table is not 100% correct. There are various cases and outright defects you need to know. First, let me explain the difference between Image and ImageInfo. ImageInfo is for things like the Category Glyph properties. These are graphics provided client-side. The Image type is for thumbnails stored server-side. Picklists are one of the special cases you have to worry about. If the property requires picking from a list, the value is of type PropertyDefinition.EnumeratedValue, which has both a display value (String) and a “true” value (Object). The true value will have a data type matching the table above. You can use the HasListValues property on PropertyDefintion to tell if a property is a picklist or not. The Object is mainly there for if you want to add your own client-side property definitions. EntityType is the only out-of-the-box property that uses Object. In that case, the object type is EntityClass. In running my own test, I found that the system properties FileSize and VersionNumber did not behave as expected. These have int values, not Doubles. If you try a direct cast to Double, it will fail. Here is the first major update to The TTP Project. The initial release was focused on proving out a prototype SDK for the PLM 360 API. This time around I focused on making the app itself more useful. There are some nice new features here, including things you can’t do through the web UI. You can now build your own UI for item detail fields. This is done using XAML files to define the UI. Next, you link those files to the workspaces and operations you want to apply them too. If you are familiar with Vault Data Standard or DECO, then you get the idea. In fact, most of the code is copied from DECO. Custom UI is specific to a workspace. 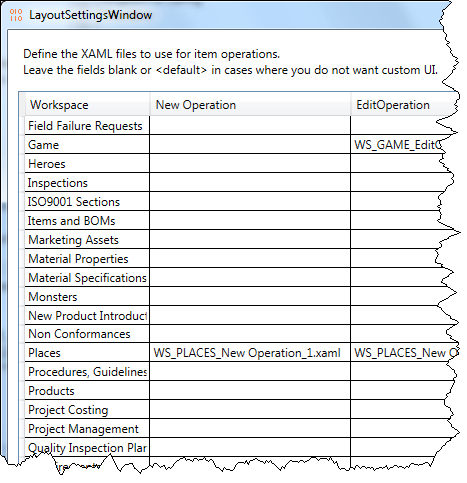 You can also define different UI for each operation (view, new and edit). 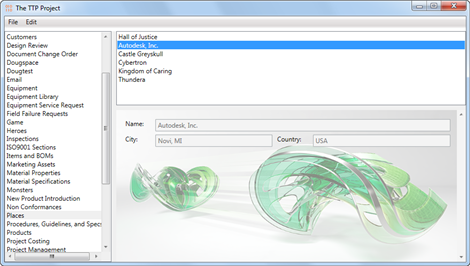 The Layout Settings window that allows you to configure which UI is used in which cases. If no UI is defined, then the default view is used. You can now select multiple items in a workspace. The view panel will show all the fields that have the same value across all the selections. If a field is different, it shows a blank value. If you run the edit command during a multi-select, any field you set will be applied to all the selected items. All other field values are left alone. So it’s a nice easy way to set a value across multiple items. Auto-renewal for expired security credentials. If you liked my earlier OAuth article, you can grab the TTP source code for examples. Quicker navigation of items. Caching has been implemented in the code so viewing an item for the second time doesn’t involve a web call. A nice new feature in the latest PLM 360 update is that REST API will show more detailed error information for when a add/update operation fails because of bad field data. For example, if you try to update an item with a value of “x” for a numeric field, you will now get an error specifying which field(s) failed and why. First, let’s go over the generic error case. For example, if you try to add a new item to a workgroup you don’t have write access to, here is the JSON error data you will get back. The structure corresponds to the APIError class in the API documentation. Now let’s look at the case where you try setting a field to a value that is not allowed. Here is the JSON that you get back, which corresponds to the FieldValidation error class. "errorDescription":"Currency is not a valid currency amount"
"errorDescription":"Decimal must be a valid decimal number with at most 2 decimal digits." The first thing to note is that the FieldValidation data is a superset of the APIError data. Another way to putting it is that FieldValidation is a subclass of APIError. That means that PLM errors follow a similar pattern to Java and .NET Exceptions. In those languages, Exception is the base class and specialized subclasses exist for specialized cases (IOException, StackOverflowException, and so on). You as a programmer can handle things in multiple ways depending on how specialized the error is. In PLM, APIError is the generic case and FieldValidationError is a specialized case. More specialized errors may be added in the future, but for now, there is just one case. Another thing to note is that the errorClass property matches the name of the error class. This is to help your code deserialize to the correct object. It’s a bit of a circular problem because you need to deserialize the JSON in order to figure out how the JSON should best be deserialized. I recommend a multi-phase approach to handing errors. In the event of an error (HTTP codes in the 400s or 500s), read the HTTP body into a string. Deserialize the string into an APIError object. If errorClass is not APIError, deserialize again to the proper error class. After that it's up to you how you want to use that error data. But you definately have more options than you did before.